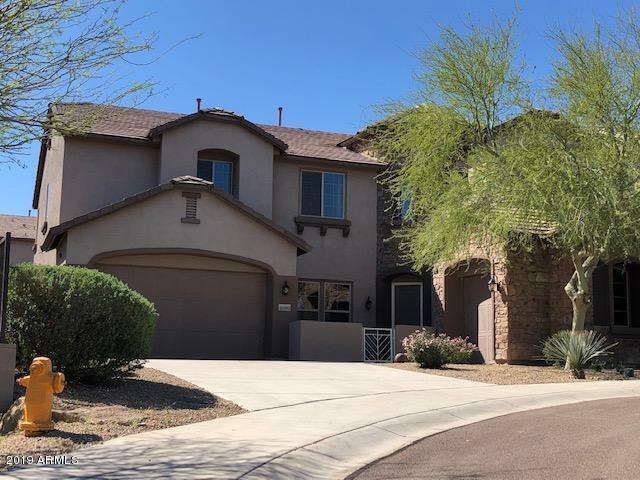 All WESTWING MOUNTAIN homes currently listed for sale in Peoria as of 04/24/2019 are shown below. You can change the search criteria at any time by pressing the 'Change Search' button below. "CAMELOT HOME IN A PRESTIGIOUS GATED COMMUNITY! Stunning views from every outside area of the home and so many places to enjoy the beautiful Arizona weather. The formal dining room is flanked by two courtyards, one with a fireplace and one with a fire pit, making it a delight to entertain. Formal living, full bed and bath, den/office on the main floor along with a gourmet kitchen with an expansive breakfast bar with granite slab counters, a full breakfast dining area, a generous family room with "
"This beautiful Pulte built 6 bedroom, 4.5 bath plus Den/Office with 3 car garage is spectacular. There are loads of windows bringing in loads of natural light to this open floor plan. Features: eat-in-kitchen, great room, formal dining room, living room...new carpet and fresh paint. New epoxy floor in garage...the loft is a perfect get-a way, the master suite has two walk-ins, double sinks and separate tub and shower, Laundry is upstairs for easy access. 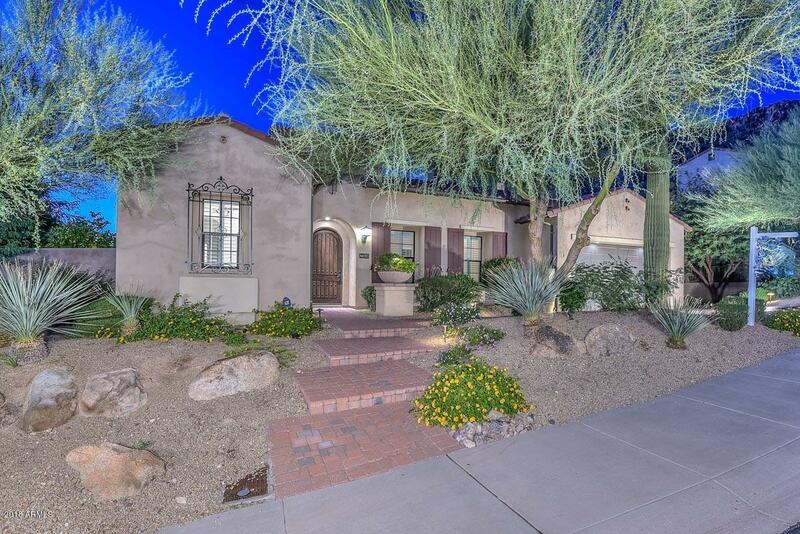 Close to golf courses, Lake Pleasant, W"
"This is the ONE!! 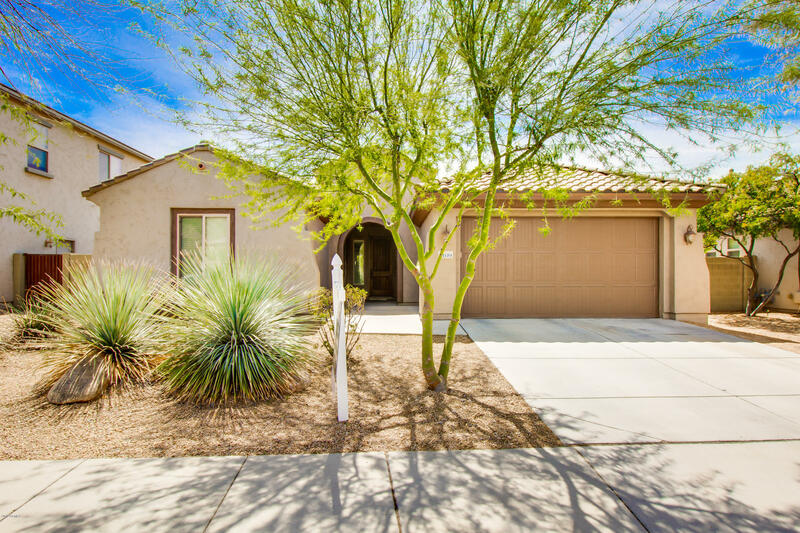 Highly upgraded 4 bed, 3 bath 2626 sqft single level home in Westwing Mountain. This is the coveted Hummingbird split floor plan with separate hallways for the master, the guest quarters and two other bedrooms, with separate HVAC zones. The upgraded kitchen has Maple cabinets, Granite counter tops, upgraded lighting, wifi dimmers, built-in desk area, pantry, over-sized island w/breakfast bar. Stainless double ovens, built-in microwave and 5-burner gas cooktop. The informal din"